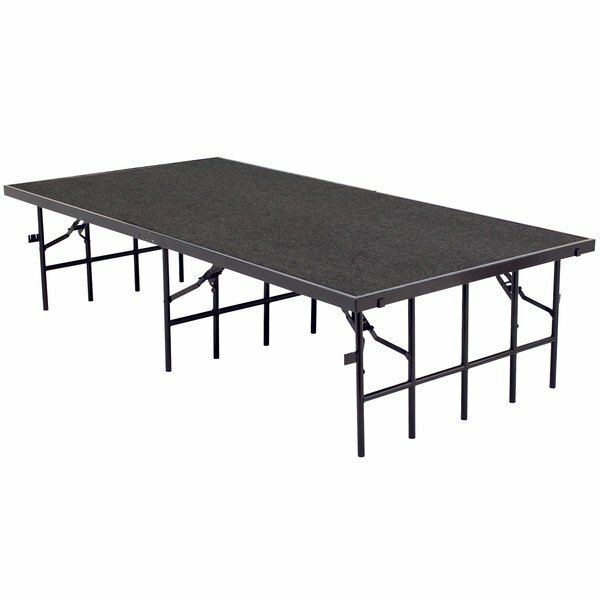 National Public Seating S3632C Single Height Portable Stage with Gray Carpet - 36" x 96" x 32"
Bring your performance venue to the next level with this National Public Seating S3632C single height portable stage with gray carpet! Built with a 16-gauge steel frame and a premium grade plywood core, this single-height is both durable and portable. For quick set up and safe use, its legs are made with 14-gauge tubular steel and outfitted with spring-loaded support brackets. Featuring gray carpeting and a black epoxy finish, this stage brings style to any occasion. For added convenience, it is outfitted with ganging to easily connect multiple stages. Its sturdy 7-ply plywood construction exceeds 200 lb. per square foot weight limits. In fact, National Public Seating stages are strong enough to hold an entire car! For added strength, the stage frame is reinforced with riveted steel plates attached at all points where frame parts join together. 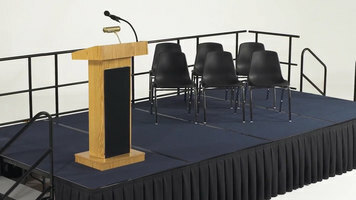 National Public Seating S3624C Single Height Portable Stage with Gray Carpet - 36" x 96" x 24"
National Public Seating S3616C Single Height Portable Stage with Gray Carpet - 36" x 96" x 16"
National Public Seating S368C Single Height Portable Stage with Gray Carpet - 36" x 96" x 8"